Henry Stuart, Lord Darnley lived from 7 December 1545 to 10 February 1567. He became the second husband of Mary, Queen of Scots and the father of the future James VI of Scotland and I of England. After making himself thoroughly unpopular with just about everyone who mattered in Scotland, Darnley was murdered, probably with the knowledge of his wife, and probably by the man who would then become her third husband. The wider picture in Scotland at the time is set out in our Historical Timeline. Darnley (who would also later be given the titles of Duke of Albany, Earl of Ross, and King Consort of Scotland) was born at Temple Newsam in Yorkshire. He was the eldest son of Matthew Stewart, Earl of Lennox and Lady Margaret Douglas. Via his mother he was a great-grandson of the English King Henry VII: he and Mary, Queen of Scots shared Margaret Tudor as a grandmother. This placed him close to the succession to the Crown of England after Queen Elizabeth, though not quite as close as Mary, Queen of Scots. He was also, via his father, a descendant of a daughter of James II of Scotland and thus rather more distantly in line for the throne of Scotland. Darnley's mother seems to have a clear early ambition that her son should marry Mary, Queen of Scots, who was four years older than him. After the death of Francois II in 1560 Darnley was sent to France by his mother, apparently with a view to his meeting the newly widowed Mary. Although the two met, nothing came of it, and it was only after Darnley, now aged 19, travelled to Scotland with his father in February 1565 that he and Mary grew closer. At first he simply formed part of a large group around Mary. But in April 1565 he fell ill with measles at Stirling Castle, and it was Mary who took it upon herself to nurse him back to health. By the time he had recovered, Mary had fallen in love with this exceptionally attractive and tall young man. 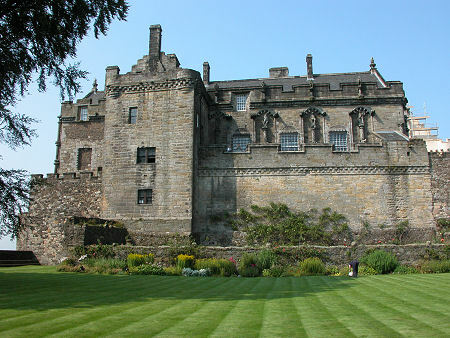 The marriage took place on 29 July 1565, in the chapel of the Palace of Holyroodhouse in Edinburgh. Most of Mary's advisors were against the match, including John Knox and Mary's powerful half-brother, James Stewart, 1st Earl of Moray. Queen Elizabeth of England also publicly came out against the marriage, ordering Darnley and his father to return to England before it took place. They disobeyed, and it is actually far from clear what Elizabeth's real intentions were: Darnley had received her permission to travel to Scotland in the first place. Mary's haste to marry Darnley was such that she did not even seek the required dispensation (because of her blood relationship with Darnley) from the Pope. The marriage went smoothly for about as long as it took for Mary to become pregnant in Autumn 1565. But Darnley soon made it clear he was dissatisfied with the title of King Consort when he felt he should be a King of Scots with full regal authority. And it soon became clear to everyone else that Darnley was a dim, immature, dissolute and thoroughly nasty young man. Matters came to a head in March 1566 when Darnley was talked into taking part in a coup against Mary by a number of lords she was going to have tried for treason. The first step in the plot was the murder of her Private Secretary, David Rizzio, on 9 March 1566: who the plotters convinced Darnley had been cuckolding him. 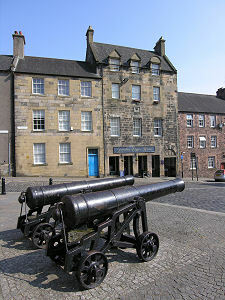 But after the murder, Mary outwitted Darnley and turned him against the other plotters, getting him to help her to escape from Edinburgh to Dunbar Castle, and the safety offered by James Hepburn, 4th Earl of Bothwell. On 19 June 1566 Mary gave birth to a son who would become James VI of Scotland and I of England. Mary made very sure that Darnley publicly acknowledged that the child was his (which it probably was); but Darnley refused to attend the Christening at Stirling Castle later that year. At the beginning of 1567 Darnley fell ill in Glasgow, probably from syphilis picked up on one of his many forays into the seamier side of life in Scotland's cities. Mary went to see him, and returned with him to Edinburgh, where he was lodged in the Provost House attached to a church called Kirk O'Field, just inside the city walls: and probably under what is now part of Edinburgh University. As the cause of his illness was not know at the time, no chances were taken of Darnley coming into contact with his baby son. On 9 February Mary visited Darnley in the evening, before returning to the Palace of Holyroodhouse. In the early hours of the following morning the house Darnley was staying in was destroyed by a huge explosion. Darnley and a manservant were found dead in the orchard behind the house, apparently having been strangled while trying to escape the blast. Public opinion at the time was pretty sure that the most likely murderer was James Hepburn, 4th Earl of Bothwell, probably with Mary's knowledge. Hindsight suggests that opinion at the time was right, with the plot, known as the Craigmillar Bond, being agreed between Mary and a number of her senior advisers, including Bothwell and Gilbert Balfour, Sheriff of Orkney, at Craigmillar Castle the previous December. Bothwell faced a sham trial for the murder, and was acquitted. But for Mary, the murder was the beginning of the end. By marrying Darnley she had lost most of her political support in Scotland. By then, apparently, helping murder him, she lost most of her public support. It is no surprise that when she then went on to marry the Earl of Bothwell the country turned against her and she was rapidly deposed from power.